Make a quick test to see how your truss rod is adjusted. 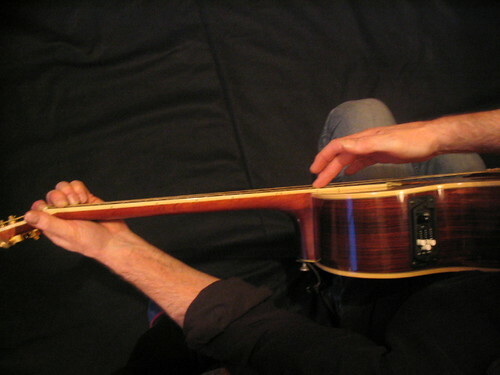 You can do this by holding the string down at the top and bottom of fingerboard. Use the string as a straight line. This will indicate how the truss rod is currently set. If it is set correctly, there will be a slight gap between the string and the frets around the half way point of the neck. If the truss rod is too tight, the neck will assume a convex shape or back bow, this will result in string rattle and a compromised string tone. If the truss rod is too slack, the neck will assume a concave shape or forward bow, this will result in a high action, difficulty with fretting the string and could compromise the intonation. Rotate to tighten or slacken. Direction of rotation will differ depending on the adjustment location and manufacturer.